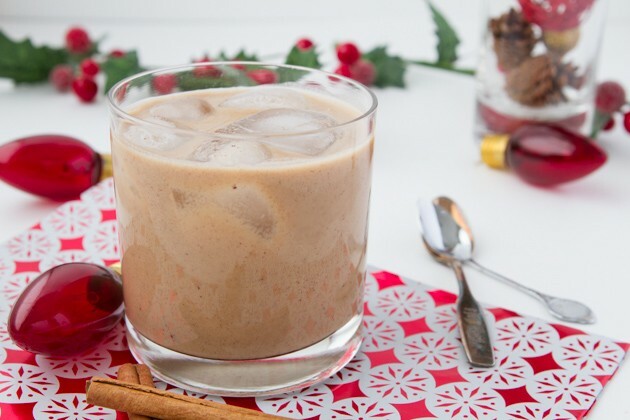 Non-alcoholic dairy-free eggnog recipe that the whole family will love. Place yolk in a small bowl and set aside. Combine remaining ingredients in a small saucepan. Bring to a boil, on medium heat. Whisking every 30 seconds or so to avoid the mixture from burning. Reduce heat to low. Remove 2 tablespoons or so of the hot mix and slowly pour into the bowl with the egg yolk in it, stirring constantly. This will temper the egg so that it doesn’t scramble in your eggnog. Do not skip this step. Once the first 2 tablespoons have been added, pour in another 2 tablespoons. Then, add the egg mixture to the heated mixture. Whisk for 1 minute. Then, allow to simmer with a lid off for 5 minutes. Remove from the heat to cool then transfer to a glass to allow to cool for 1 hour. Cover and refrigerate until chilled. Coconut Milk: Don’t like coconut? No worries. You can use any dairy-free milk of choice here. 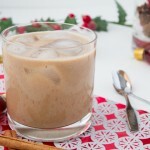 This Unsweetened Almond Milk would be great, too! Egg: You could try making the eggnog vegan (egg-free) as well by removing the egg and stirring in 1 teaspoon of ground chia seed.